‘Make Hay while the sun shines’, goes to the age-old adage. So now is the time. Your big day is just around the corner. While you and your bridesmaid are all set to look the best on your D-day with your radiant gaze and flaunting your perfect wedding dress, a faulty fitness regime is sure to hinder your picture-perfect look. Looking resplendent on your wedding and fitting perfectly into your wedding gown is a dream come true for every to-be bride and her bridesmaid, but urge to accomplish this goal might often lead to flawed workout techniques like starvation and crash diets by restricting the intake of carbohydrates in the body. Although these methods offer you instant results, their detrimental impacts in the long run, can almost put you into a fix. These harmful effects include diminution in basal rate of metabolism, weight gain or severe loss of weight post marriage and problem of dehydration to name a few. If the limited time frame in your hand is almost freaking you out, fret not! Brides and bridesmaids can incorporate cardiovascular workouts, muscle and strength training exercises. By practising bridal boot-camp style workout and interval training, brides get the opportunity to perform cardio and strength-training exercises in one single workout. These fitness movements help to shed a lot of calories eliminating the need of high intensity workouts. 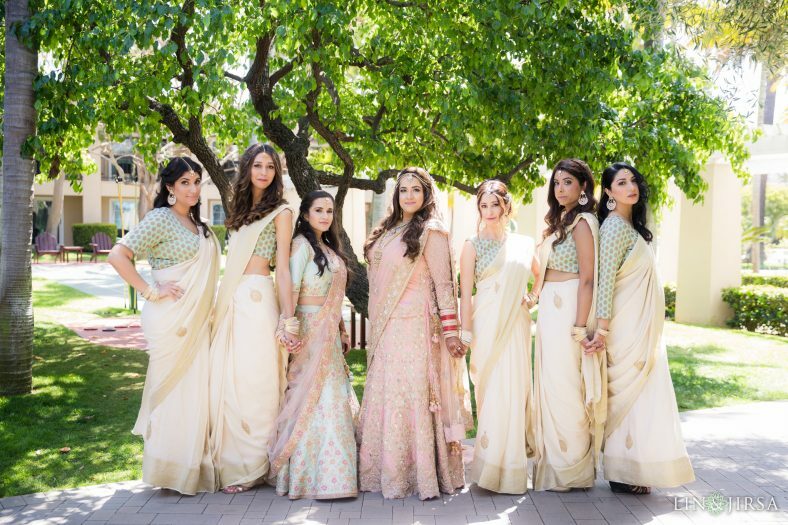 Brides and their bridesmaid should note that weight reduction does not mean curbing the carbohydrate and caloric intake, instead it is a process that can be achieved by a proper balance of a well-nourished balanced diet and regular workouts. It’s always better to embrace the path of weight reduction in a healthy way, hence a moderate carbs intake is definitely welcoming. Browse through some effective exercises, to make sure, you are on the right track. 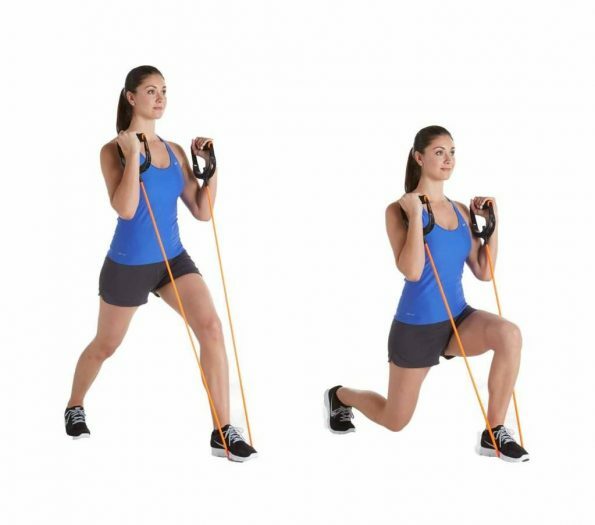 You need to get hold of a resistance band having handles. Place the middle of the band beneath your left foot and outspread your right foot about two to three feet’s behind you. Grasp band handles in both hands with arms being in the side position and curve your left knee to an angle of about 90-degree angle as you further lower down. At the same time spread out your arms bringing them to a shoulder level. Prevent your left knee from ranging ahead of your toes. Arrive to start position, repeat the same by switching sides. Lie down on your belly on a stability ball, until you reach a position wherein your hands go beneath your stomach and ensure your finger point forward. Rest the ball under your hips and upper thighs. Twist your elbows and gradually lower your body towards the floor. Your back has to be upright and straight all through the exercise. Prevent your back from swaying. Repeat it again. Get yourself seated on a stability ball with feet being on the floor. Start with dumbbells in your hands and your arms protracted down to your sides, your palms should be facing in front of you and ensure your elbow is against your torso. Get your hands close to your shoulders in biceps twist, then encompass both arms above, revolving the dumbbells in a way your palms face outwards. Repeat each movement. Start the exercise by lying on the floor on your side. This should be followed by pushing yourself up onto one arm with your hand being placed just beneath your shoulders. Weight in your hand needs to be similarly disseminated throughout the fingers and palm. With legs stretched, gradually stack your feet on top of each other and raise your conflicting arm up into the air. By holding for about thirty seconds on either side, you must alternate sides three times. In order to begin the training, you must be standing in a runner’s lunge position and you must hold a medicine ball. Drop into a deep lunge, keep your back knee about 3 inches off the ground. Alternate the weight from one hip to the contradictory, while you generate a high arch-motion with your arms. You must make an attempt to draw your abs in as your arms reach up, over and down. Replicate thirty rotations on one side, then change legs. Browse through the above mentioned functional workouts all designed to tone your muscles, arms and shoulders.